We are located within just a 1 minute walk from the Regency Square underground car park, in Regency Square, Brighton BN1 2FG. This car park offers some of the best prices for short and long term parking in the Central Brighton area, offering you rates from 9£. (more info). Regular train services operated by Southern Rail and First Capital Connect operate from London Victoria Station, London Kings Cross, London Bridge and Bedford. These run approximately every half an hour and take approximately an hour to Brighton. Plus, if you plan to travel further afield, there are direct services to and from the North West, the Midlands, Scotland, the West Country and South Wales. From Brighton Station walk straight out of the station and continue downhill on Queens Road, towards the sea. When you reach the Clock Tower, turn right and follow Western Road past the Churchill Square Shopping Centre (on your left). After approximately 5 minutes you will see Preston Street on your left. 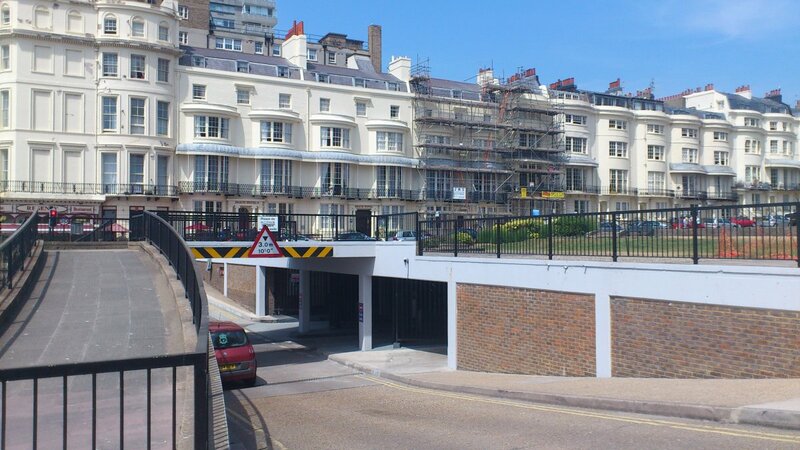 We are at the end of Preston Street, on the right-hand side, on the seafront. Alternatively, you can reach Brighton by coach. The journey from London takes approximately 2 hours and regular National Express services operate from both London Heathrow and Gatwick Airport. Gatwick is approximately 1 hour away, while Heathrow takes just over 2 hours. Brighton is also well connected to the rest of the country and services are frequent and reliable. Most coaches arrive at Poole Valley Coach Station. From here, simply turn right and walk on the seafront, after 10 minutes until you come to Preston Street on the right. The hotel will be directly in front of you, on the left-hand side of the road. 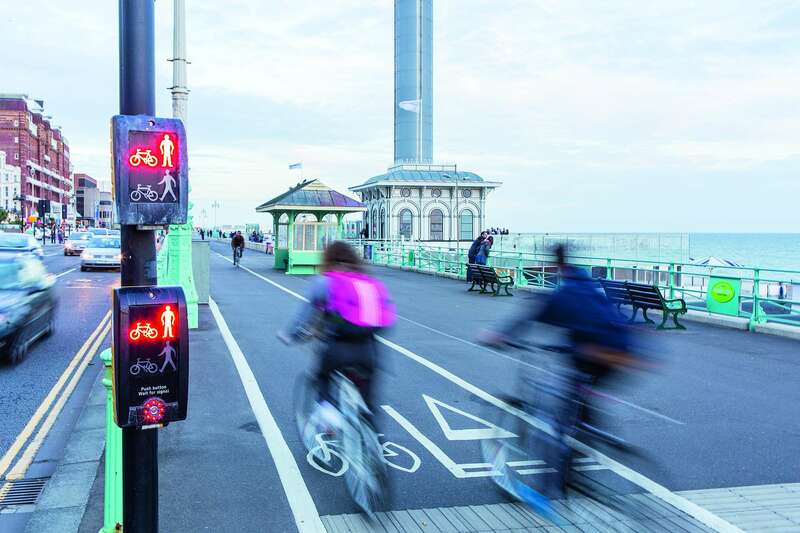 Whether renting a car or driving your own, Brighton is easy to reach by car and being a relatively small city, traffic is normally not an issue. Brighton is connected to London via the M23/A23 (approximately 1 hour) and to the East and West via the coastal A27/M27. We are located within just a 1 minute walk from the Regency Square underground car park, in Regency Square, Brighton BN1 2FG. This car park has a new overnight rate of £10, this is charged from 18:00 to 11:00 in the morning (more info). Buses in the city are operated by Brighton & Hove Buses and are very frequent and affordable. However, Brighton is such a picturesque city that once you’re here you may decide to explore all on foot.